Overview Most e-commerce websites provide a way for users to choose shipping rate for each item. Magento does provide built in feature to deal with this kind of requirement. But we have developed custom “Shipping Per Item” extension for shipping rate on each item (product). Magento Shipping Per Item extension is developed for providing flexibility to website administrator to set shipping rate for user cart items. This extension provides a delightful experience to better understand shipping rate which helps you to grow more. It is used to display additional shipping method (Shipping method) on front end side. 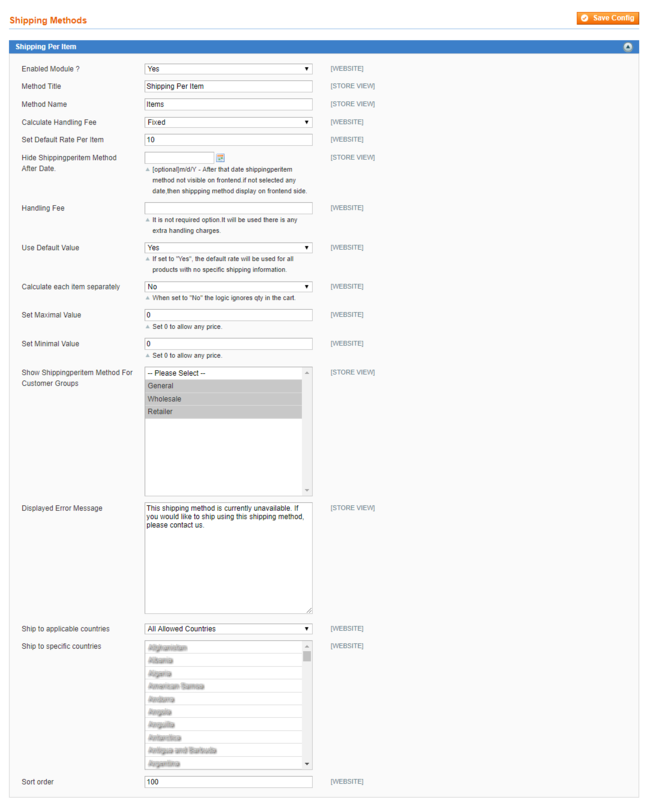 It comes with an admin configuration options that can be easily managed through website back end. Our extension provides flexibility for admin to allow shipping method with various many configuration option from shipping method section for shipping rate. This can be managed completely via Magento admin. 1. Users can see shipping method (Shipping per item) from cart page or checkout page as shipping method section. 2. Easy to use and config. 3. Shipping rate can be calculate based on cart item (product). 4. Admin can enabled/disabled extension from admin configuration 5. Admin manage shipping method from system configuration in Shipping Method section. 6. Admin can set up country specific shipping. 7. Display error message functionality. 8. Admin can set Calculate each item separately (When set to “No” the logic ignores qty in the cart). 9. Admin can shipping method based on customer group. 10. 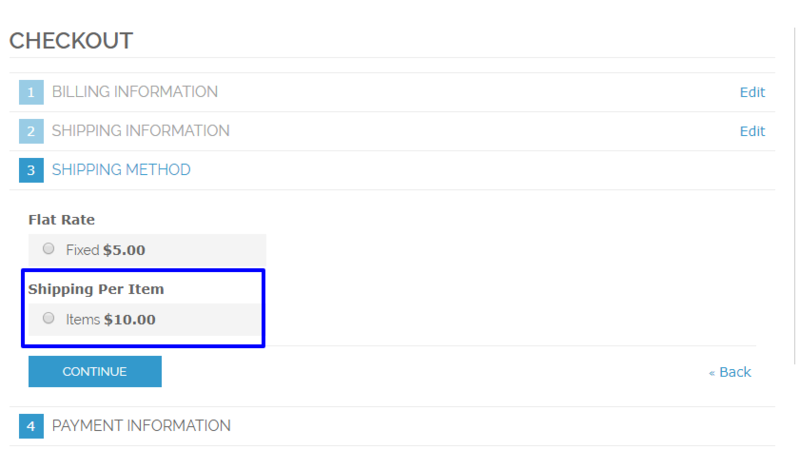 Admin can Set Default Rate Per Item. 11. 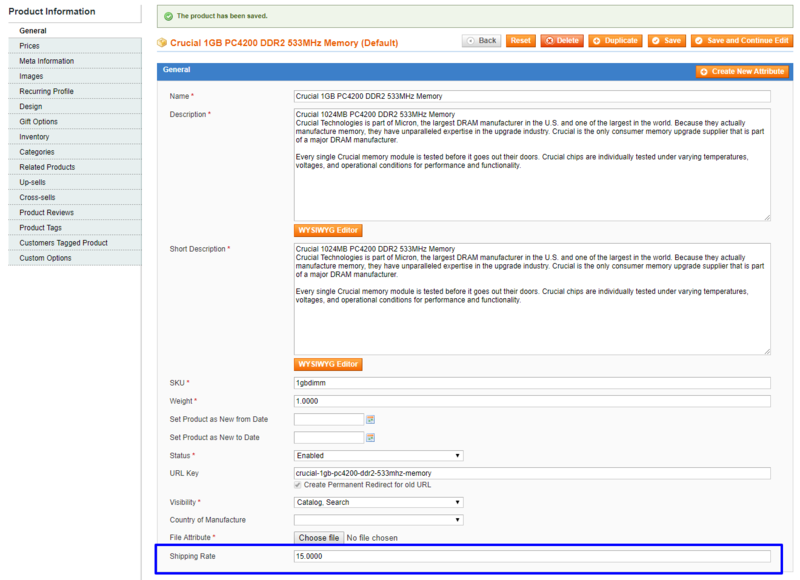 Admin can set shipping rate for specific product from manage product. Admin Features 1. Admin can enabled/disabled extension from admin configuration 2. Admin manage shipping method from system configuration in Shipping Method section. 3. Admin can set up country specific shipping. 4. Admin can set Display error message functionality. 5. Admin can set Calculate each item separately. 6. Admin can shipping method based on customer group. 7. Admin can Set Default Rate Per Item. 8. Admin can set shipping rate for specific product from manage product. Frontend Features 1. Users can see shipping method (Shipping per item) from cart page or checkout page as shipping method section. 2. Shipping rate can be calculate based on cart item (product).